Would you like to know how to get the perfect Feng Shui bedroom? There is no place in the world like your very own cozy and comfortable home. No matter how much you spend on expensive furniture or an Italian marble flooring, if there is no harmony in the set up all that luxury goes for a toss. A peaceful home is what we all wish for after a tiring day at work. And the ancient Chinese philosophy of Feng Shui teaches just what we all need for a happy home. The art of setting up a home that holds the right Feng Shui values is quite easy and understandable. It is just a matter of few adjustments that helps you attain the right Feng Shui for your home. Bedrooms are our safe haven. A place where we not just retire at night but also where we spend most of our lone time. Whether it is reading a book or listening to music, your bedroom is where you spend quality time doing what you like doing the most. And so it’s only imminent that utmost care and attention needs to be given to bedroom Feng Shui. The ancient teaching of Feng Shui derives its source from the alignment of energies that brings in happiness and peace in a space. When it comes to bedroom Feng Shui what we need to know is the good and bad Feng Shui layouts. All you need to do is try attaining the best bedroom layouts and carefully avoid bad Feng Shui layouts that might cause any disturbance or unwanted energies. Other important aspects that create a Feng Shui balance in your home are the use of certain colors and textures. Everything from the placement of mirror to the choice of décor pieces, artifacts and frames will add on the Feng Shui of your home. Though there are certain key differences in the regular décor setup and that of a Feng Shui set up, its not something extraordinarily difficult or hard to follow. It’s easy to understand and also easy to execute. All you need to remember is that by following age-old Feng Shui principles you would be bringing peace and tranquility to your home. The first step towards creating a good Feng Shui bedroom is ensuring that you have good quality air and light in your home. The quality of air becomes pure when there is no clutter around. Cleaning your home is the first and the most important step. A place filled with mess would never have good Feng Shui energy no matter how much you pay attention to the layouts and the color scheme. So Feng Shui in your bedroom, your living room or anywhere in your house begins with cleanliness. Also, there needs to be a good flow of light through adequate doors and windows. When there is freshness and abundant light in a house, it undoubtedly becomes a happier place. The next step to bedroom Feng Shui after cleaning your home is setting up the layout of your bedroom. There are certain important thing to keep in mind while setting up a bedroom with good Feng Shui. First of all its always good to have your bedroom away from active parts of your home. For example, the entertainment room, the kitchen, or above the garage where there is constant human activity. The active energy in these places can be transferred to the bedroom disrupting the very purpose of creating good Feng Shui for bedroom. Next, consider the size of the bedroom. 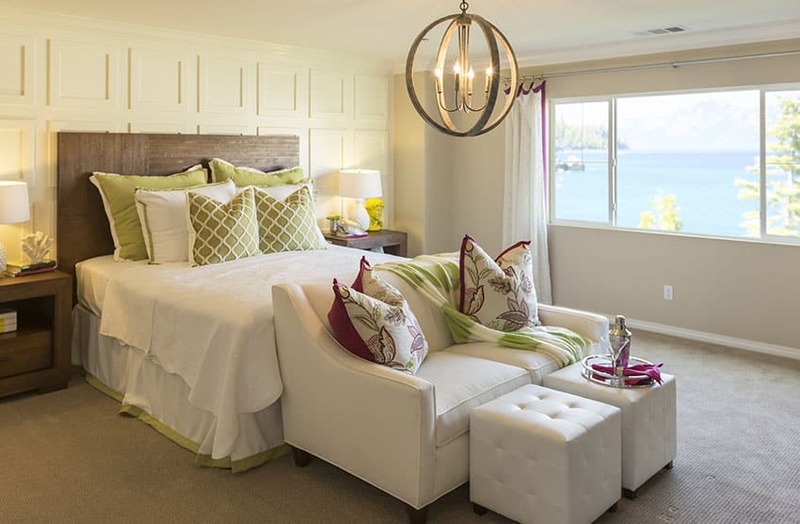 While a lot of people would love to have bedrooms that are large, it is suggested that a smaller bedroom brings in a lot more privacy and coziness. After a long day at work, sleeping for eight hours straight in a small and comfortable bedroom can be much more satisfying than sleeping in a overtly spacious room. Read further to know Feng Shui bedroom rules about bed placements, best Feng Shui colors and décor tips. It might seem convenient to neglect Feng Shui related philosophies while setting up a room, but the consequences might often result in unwanted worries and insecurities in your life. The energy and vibe of your bedroom needs to be pleasant and joyful, hence its important to carefully avoid bad bedroom Feng Shui layouts. The position of the bed plays the most important part in forming good bedroom Feng Shui layouts. The key rule is to keep your bed as far as possible from the door. This is called as the ‘command’ position of the bed. The bed is at this power position when it is not in the direct line of energy that flows in from the door. Such layouts where the door can be seen from the bed brings peace and prosperity in your life. A bed at the opposite side of the door and yet not facing the door directly or not placed under the window is the best position for a bed to be for maximum peace and harmony. Placing it against the adjacent wall is also a good bedroom Feng Shui layout. Try to not keep the bed directly under the window or right opposite the door. Such layouts cause the bed to be in the area where energy flow happens the most. Resting and sleeping in such bad Feng Shui layouts might result in restlessness and tension. Also, avoid placing the bed against the same wall as that of the door. If someone enters or shuts the door hard, it might cause restlessness. Moreover, you will always have to get up and see the person entering, while if it’s on the opposite side of the door you just have to raise your head to see the person entering. Additionally, it’s bad Feng Shui to sleep with your feet facing the door. In Chinese philosophy, this is death position, as a person who is dead will be taken out of the room with the feet exiting first. So a layout that makes you sleep this way should be avoided at any cost. In any case, if the layout of the bed can’t be changed then certain things to lessen the effect of bad Feng Shui should be done. If a bed is placed under the window you can place a high wooden headboard to reduce the bad effect of the energy flowing in from the window. Also, if your feet is directly facing the door and there is no way you can change the layout due to space constraints, you can place a footboard to avoid your feet directly facing the door. In other case, any furniture like a wooden chest or a chaise can be placed at the foot of the bed to avoid a bad Feng Shui layout. Keeping the do’s and don’ts for good bedroom Feng Shui, work towards creating a better home that balances the various elements surrounding you. Feng Shui is about striking the right balance between the various elements around us. A bedroom needs to be comfortable and intimate. It is a very personal part of your home which you cherish and share with your loved one. So the entire décor of your bedroom needs to blend well to provide a cozy atmosphere. 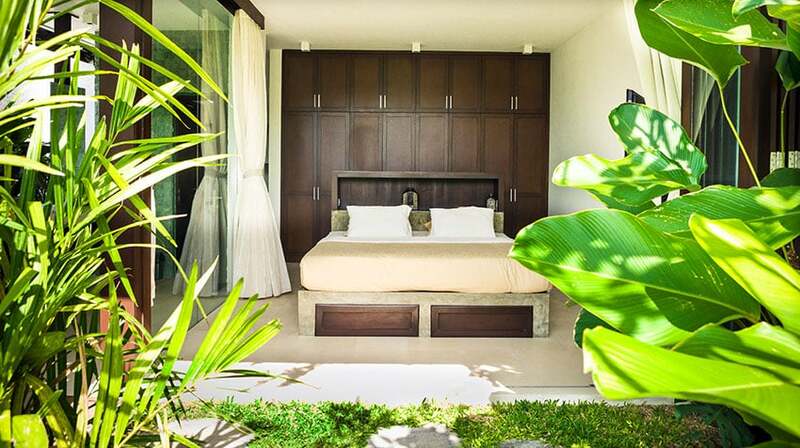 For this keep in mind the Feng Shui colors and décor tips for the master bedroom. In Feng Shui every color represents one of the 5 Feng Shui elements : Earth, Metal, Fire, Wood and Water. Focus on the strengths and weaknesses of each color to know what suits your bedroom area the most. For bedroom Feng Shui, the rule is to use colors that add to the intimacy of the bedroom so avoid colors that are too bright. Colors related to water, like blue and black brings in ease and abundance while colors related to wood, like brown and green brings in growth and nourishment into your lives. Some of the most best colors for bedroom Feng Shui are earthy and soothing tones like terracotta, brown, beige, cream and soft hues of green, blue and lavender. These colors bring in tranquility, peace and positive energy to your personal space. According to Feng Shui experts, the color that brings in love and romance to bedrooms is the Feng Shui color of passion- Red. From a deep maroon to bright crimson red, the color represents love and passion which makes it one of the best Feng Shui bedroom colors. However, it is important to limit the usage of red to accentuate your room. Too much red can be overwhelming. So make red pop out in bits and pieces around the room like on the curtains, bed linens, throws, carpets, lampshades etc. While setting up the décor of your master bedroom a lot of things needs to be covered other than the most talked about colors and textures. The first one being the kind of furniture you use. Chinese philosophy supports clean lines and edges, which is recommended and loved for its good Feng Shui appeal. Many times, we end up buying expensive and large sized chandeliers and place them right above the bed. Remove any such décor items that hang right over your head, as it would constantly make you feel uncomfortable and unsafe. Instead, you can place it over your dining table where you do not rest much. Another rule is to not place any large size furniture beside your bed. A lot of people keep their bookshelves right beside their bed for ease of reading at night. While small bookshelves are fine, extremely large ones will cause unwanted feeling of being covered or oppressed while resting. Clear away anything large that you have beside the bed to have a peaceful sleep. For good Feng Shui, make sure you do not have any work related electronic device or furniture kept in your bedroom. In modern times where there is so much pressure to bring office related work home, there has to be a conscious effort made towards making your bedroom truly a resting space. Avoid placing television set or a work desk in your bedroom to steer away from anything that disrupts your peaceful time. As difficult as it sounds, leaving your smart phones outside your bedroom truly gives you time to connect one on one with your loved one without any disturbance. 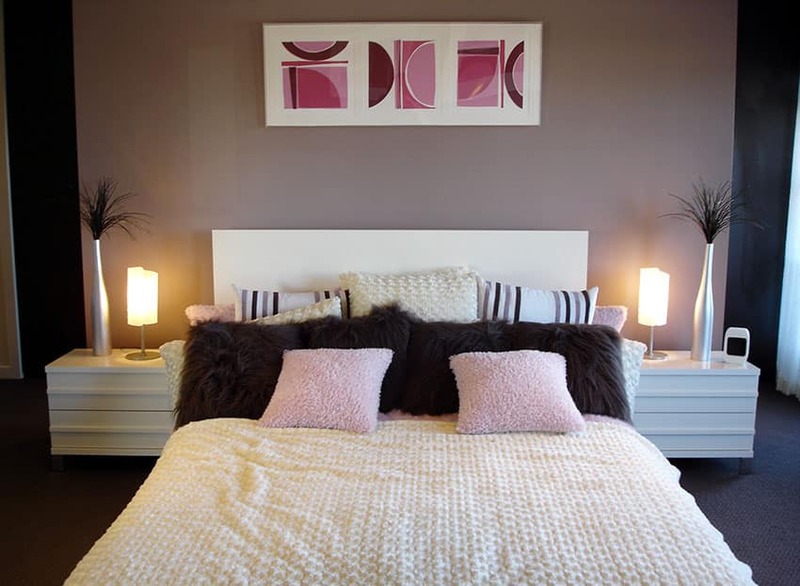 Art and decor plays a very important role in creating good Feng Shui for your bedroom. Feng Shui bedroom art doesn’t really ask for a Zen style space. You can personalize and bring in decorative items of your choice while keeping in mind simple Feng Shui bedroom art rules. For example, its great to have posters and paintings in your bedroom but nothing too jarring or unrelated to your lifestyle needs to be a part of your master bedroom. Scary face masks, paintings depicting sadness or violence would make you feel uncomfortable and end up translating those emotions into your lives. Another important décor element is the mirror. 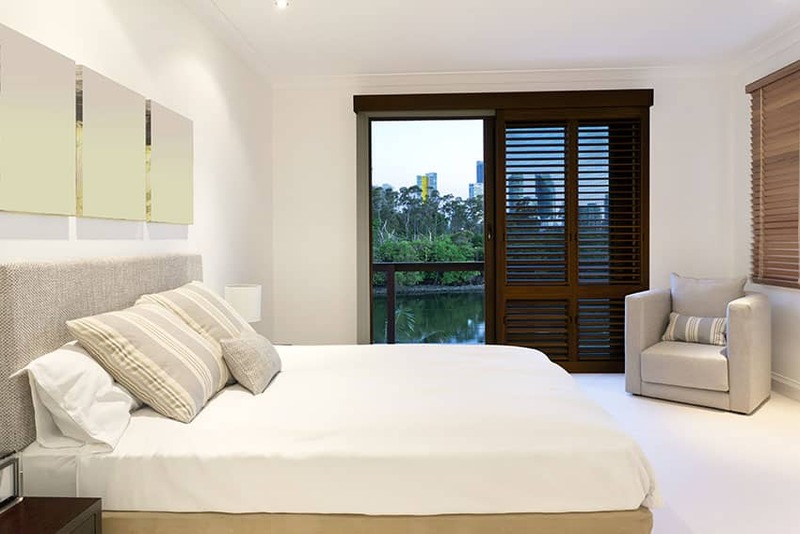 We like placing mirrors in our bedroom since it reflects light and keeps the room looking spacious and bright. According to Feng Shui rules, a mirror should not be placed directly opposite to that of the bed since you might end up unconsciously seeing all your movements in the mirror. Hence for good Feng Shui art & décor, opt for meaningful artwork, mirrors and photo frames in color tones that suit the rest of your bedroom decor. Creating symmetry through artwork and decor items often adds to the Feng Shui appeal of a space. And finally you can add finesse to your Feng Shui décor by setting up the right lights in your bedroom. Do not opt for bright lights or LED lights, they will take away your sleep and keep you awake through the night. Instead, subtle and dim lighting would be perfect for creating an atmosphere that drifts you peacefully into a sleep.